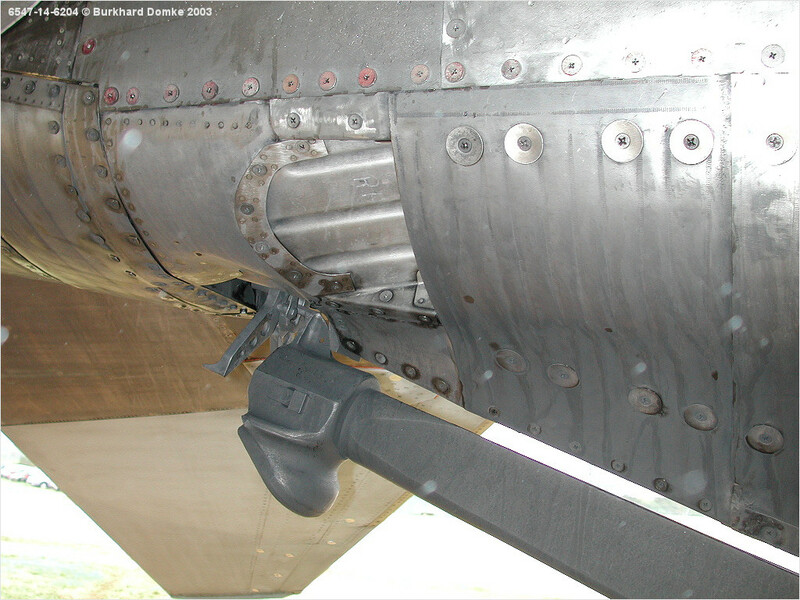 Arrestor hook detail. Skin material is bare titanium in this area. Hook is high-strength steel.